If you’ve spent half of your day clutching your stomach and the other half in the toilet, then you need some sound tips to combat and overcome your diarrhea. If you habitually maintain good personal and food hygiene, then the chances of pathogen-related diarrhea are slim for you. But, you cannot always control your environment and pathogens can still sometimes find their way into your body. However, diarrhea is not always caused by pathogens. If some medications disagree with your body or if you are intolerant to certain kinds of foods like lactose, you may still develop diarrhea. In most cases, diarrhea is really more of a symptom than a disease in itself. In diarrhea, the bowel movements become loose and watery. Medically, a person is said to be suffering from diarrhea when they have three or more loose stools in a day. Diarrhea can lead to loss of electrolytes in the body, which in turn has effects varying from simple dizziness or fatigue to more serious issues like shock and coma. 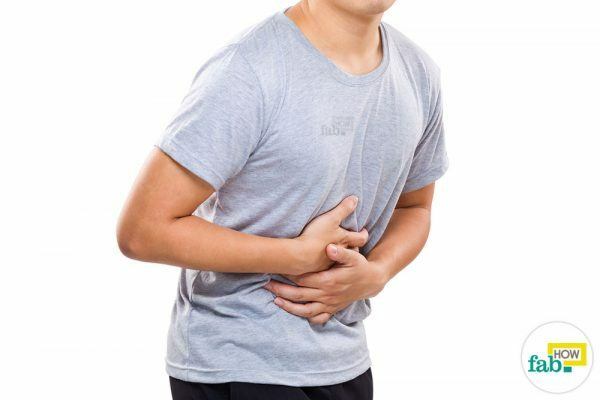 While usually, a person may get well in two to four days, diarrhea can be potentially life-threatening if not taken care of. When dealing with diarrhea, your modus operandi should be primarily to keep yourself hydrated. Also, your meals should be easy on your stomach as well as nourishing. Here we are providing you with nine fast relief home remedies to treat your diarrhea, which you can choose from depending upon your condition. Bananas are a great source of potassium, fiber, and calories that provide energy to the weak body. Rice can easily cater to your daily requirement of carbohydrates. Unsweetened applesauce is a good source of pectin, which is good for binding the stool. A single serving of applesauce can provide up to 80 percent of your daily allowance of vitamin C. Plain unbuttered toast may sound welcome to the taste buds of a sick person. It also supplies calories and carbohydrates to the body. 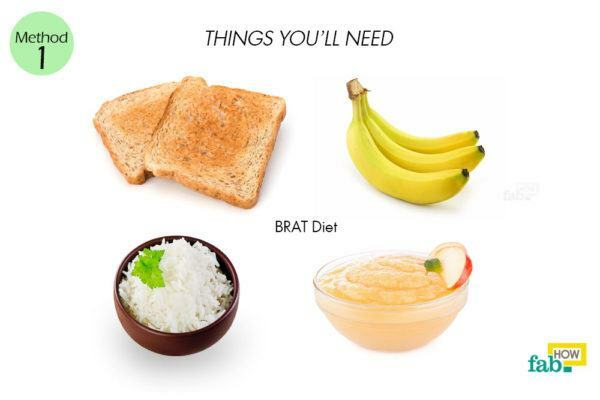 The BRAT diet should be coupled with a rehydrating regime like ORS or cereal soup for a full effect and to prevent dehydration in the body. It may be continued up to 24 hours after diarrhea subsides. Take 2 leveled tablespoons of sugar in a clean container. Add ½ leveled teaspoon of salt. Pour 1 quart of water to it. 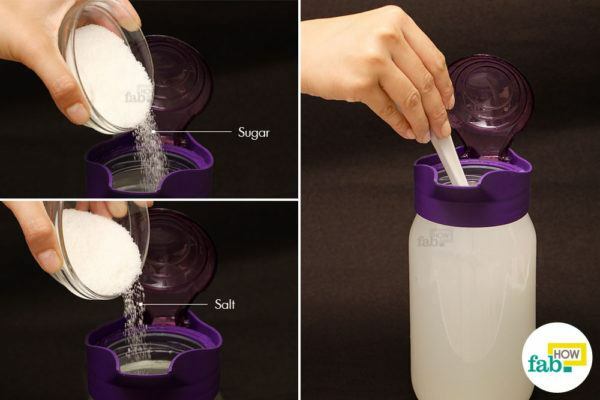 Stir well to dissolve the sugar and salt in the water completely. 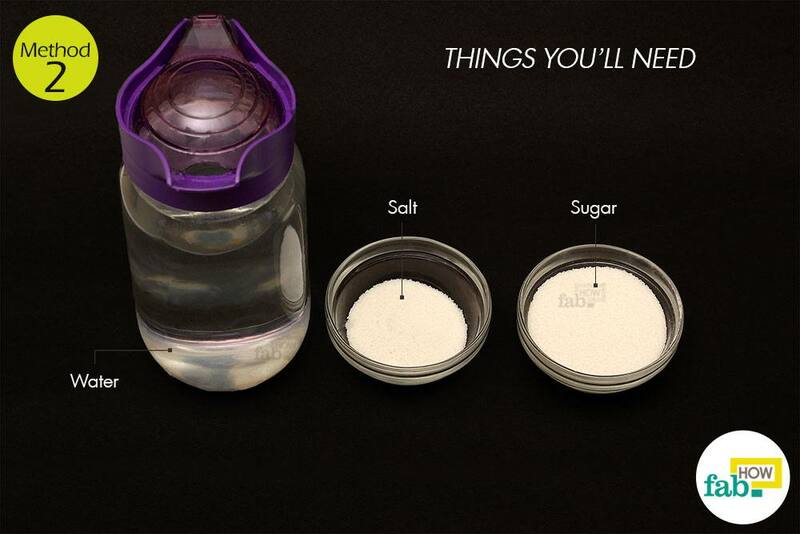 Take a sip of the solution every 2 to 5 minutes. Your homemade ORS is ready. This homemade ORS should be prepared and served as hygienically as possible to prevent further infection. Infants should be fed the solution from a spoon. The ORS should be continuously consumed throughout the sickness period, even in the case of vomiting. Take ½ cup of white rice. Add 1 quart of drinking water to it. Let the rice simmer on low for about 20 minutes. 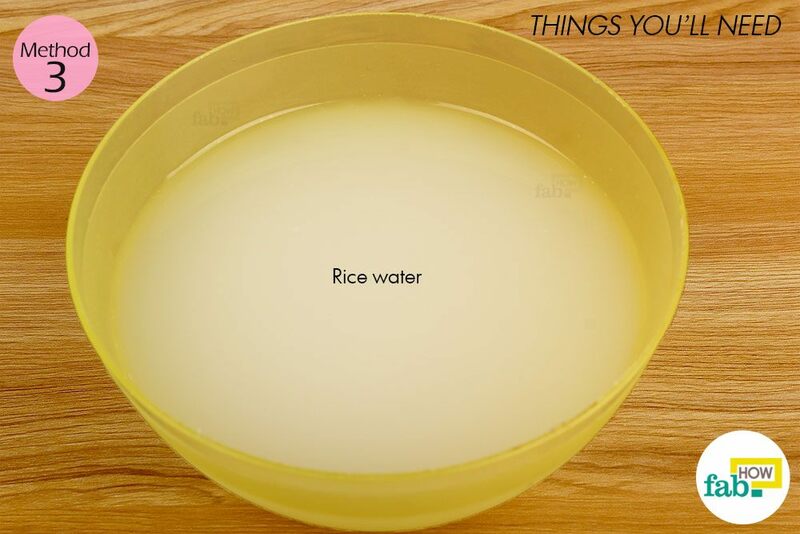 Drain the rice, collecting the water. Season the rice water with a little salt. Let the rice water cool down before drinking it slowly. This starchy rice water is replete with electrolytes, which makes it as effective in treating diarrhea as an ORS. 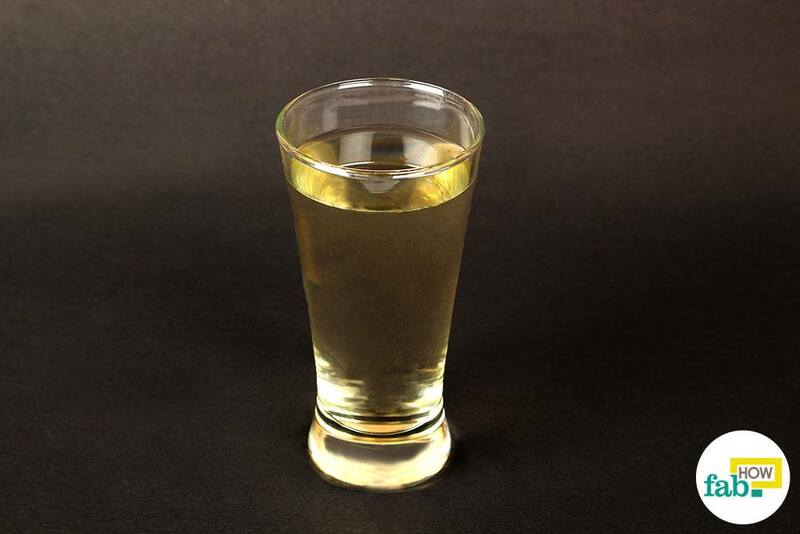 (4) Drinking it throughout the day at the first sign of diarrhea can also help you nip the problem in the bud. Pour a little more than ½ cup of water into a pan. 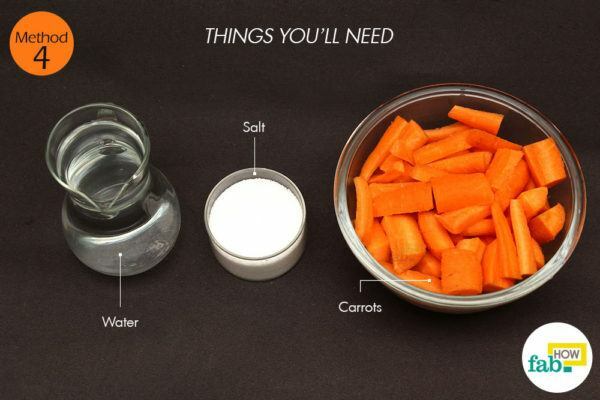 Add the chopped carrots to it. 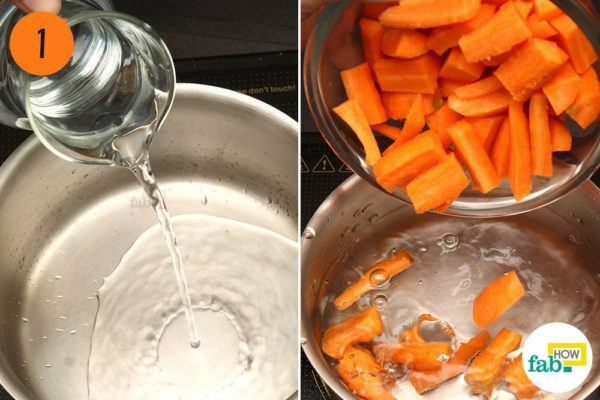 In order to prevent any additional infection, wash the carrots thoroughly before peeling or scraping their skins off. 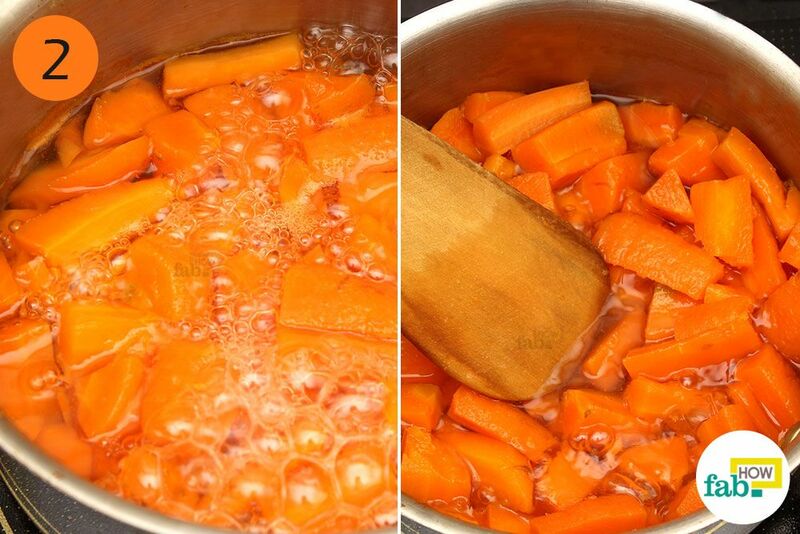 Chop the peeled carrots into small pieces. Bring the carrots to a boil. Cook the carrots to mush, so that you can easily mash them up in the pan with a wooden spoon. This carrot soup is an ideal meal for a person sick with diarrhea. It also helps replenish the fluids in the body. 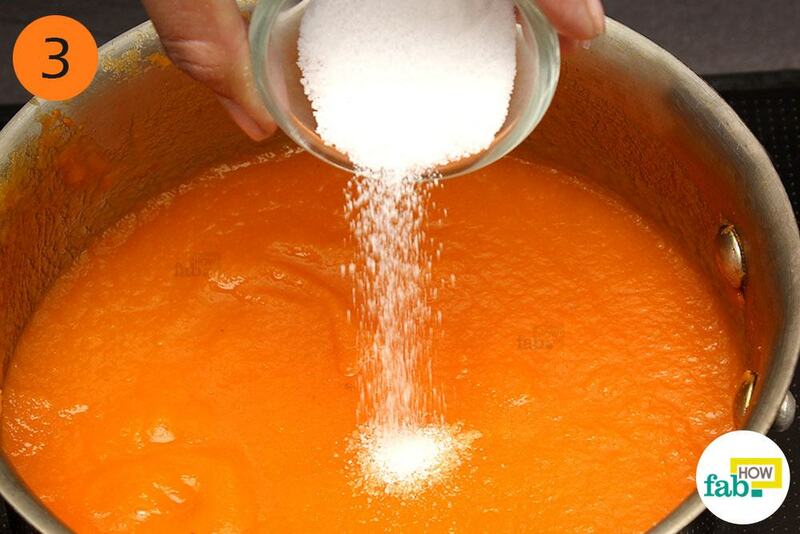 Season the carrot soup to your taste with salt. If you find the soup too bland, you may add a dash of pepper as well. To add a little color to the soup, add a sprig of cilantro or parsley before serving it. 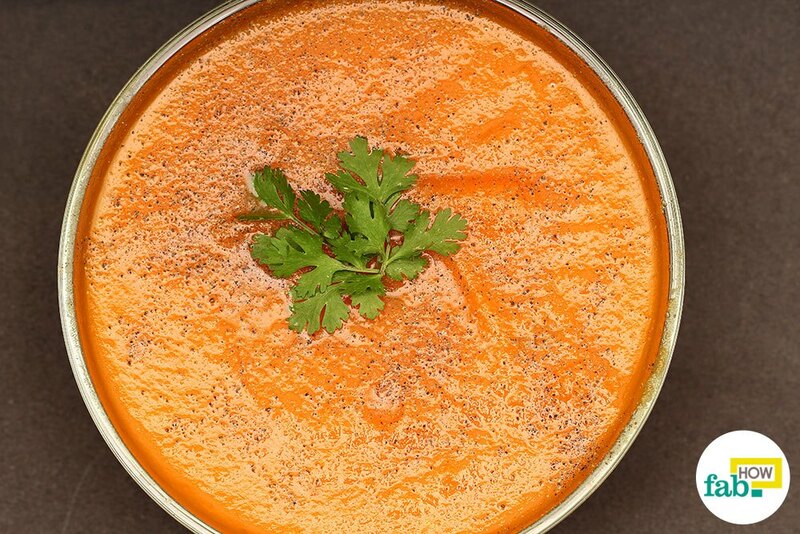 Your carrot soup is ready. Eat the soup slowly, as scarfing it down may make you nauseous. Carrot soup should be included in a daily meal when suffering from diarrhea. Take 1 glass of drinking water. 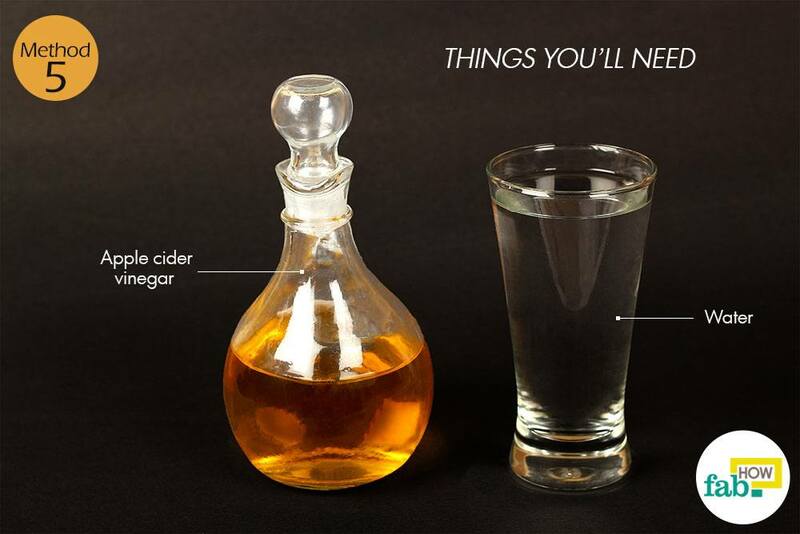 Add 1 to 2 tablespoons of apple cider vinegar to it. Drink this solution 3 times a day for relief. Apple cider vinegar is considered beneficial in cleansing and maintaining the pH level of your gut. Consuming yogurt is a healthy and natural way to regulate the digestive tract without causing an imbalance in the body. Consume 1 cup of yogurt twice a day, after meals for best results. 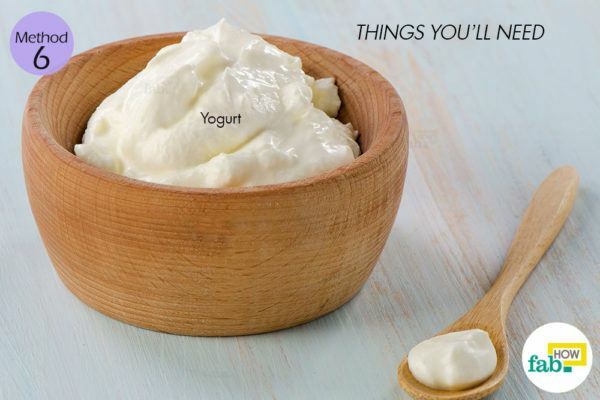 If possible, opt for Greek yogurt as it contains a lot more probiotics than regular yogurt. 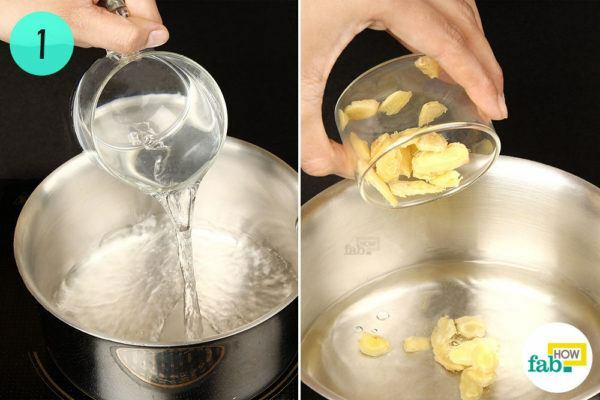 Peel 1 to 2 inches of raw ginger. 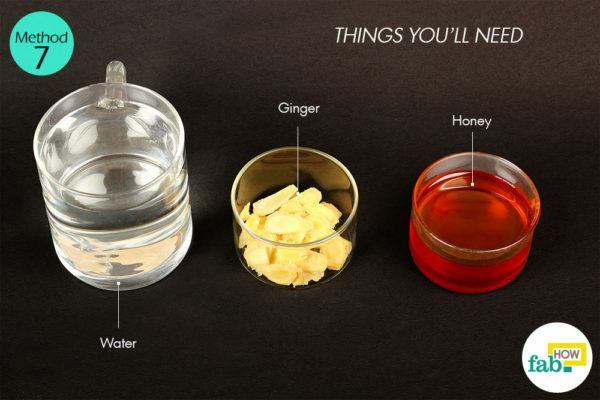 Put the ginger slices and 1 cup of water in a pan. 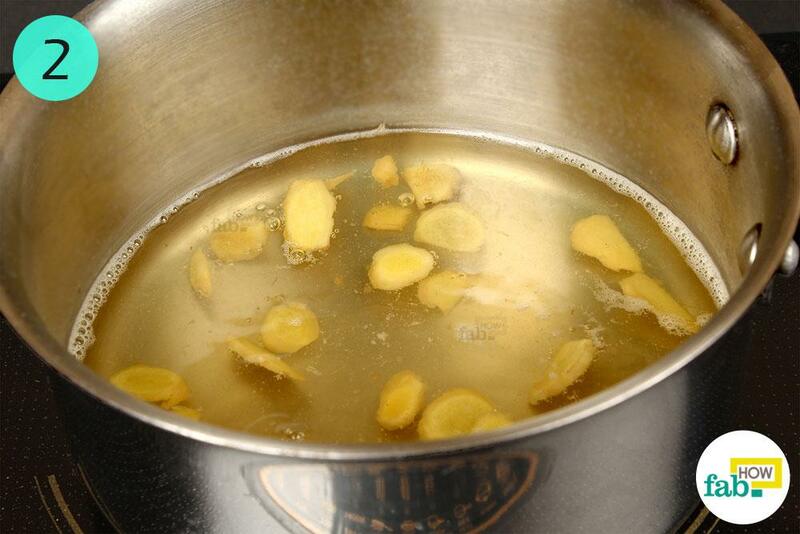 Bring the ginger root to a boil. Let it simmer on low for 2 minutes. 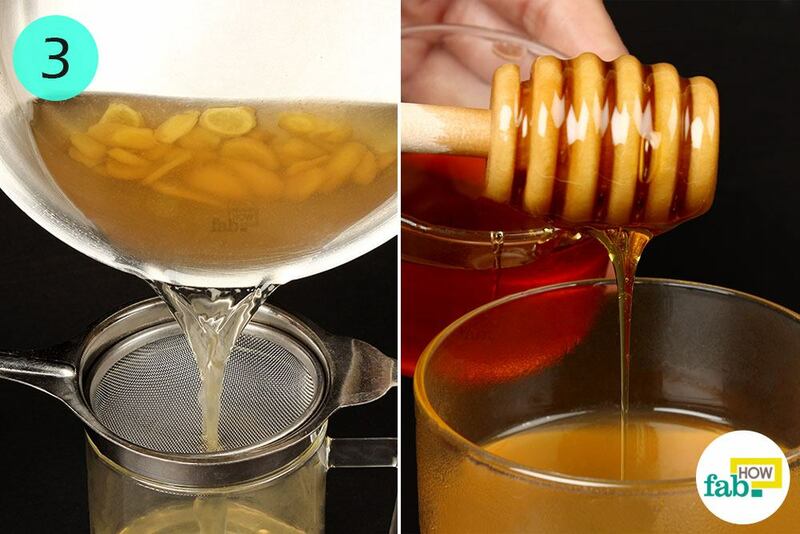 Add a little honey, about ½ to 1 teaspoon and not more than that. In moderate amounts, honey soothes the digestive tract and also helps clear the gut of harmful pathogens. Slowly sip on the ginger and honey tea. 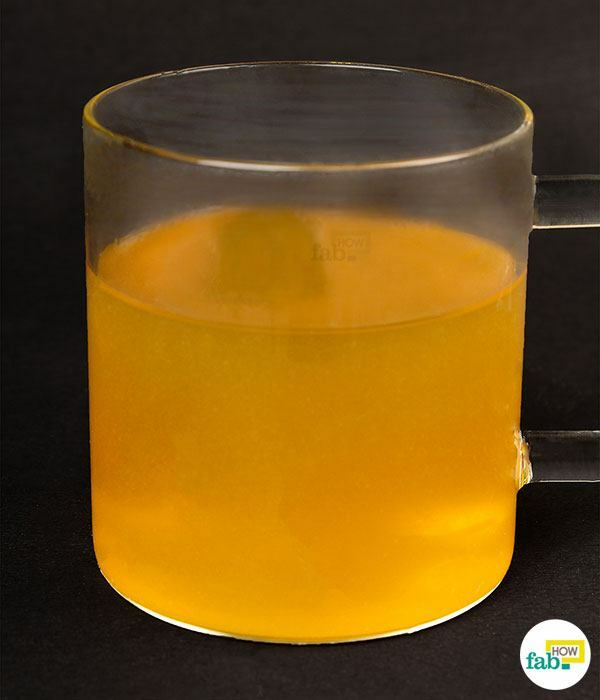 Drink 1 cup of this tea a day to relieve symptoms associated with diarrhea. 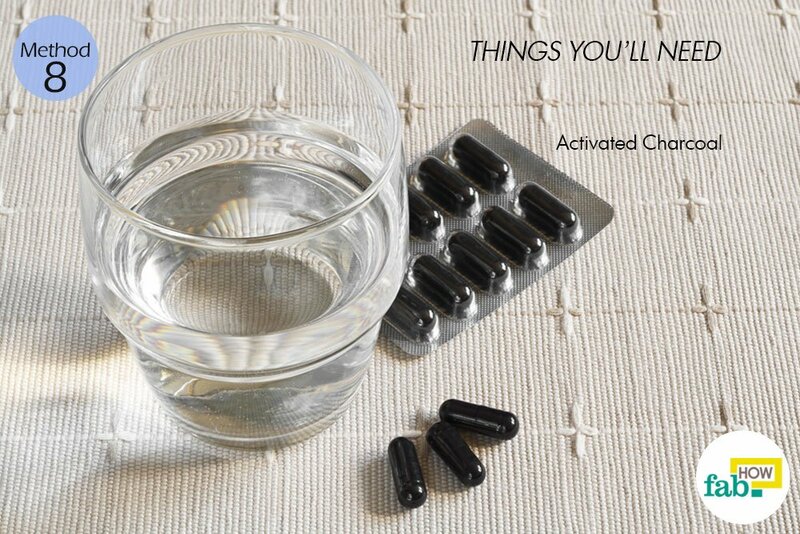 Activated charcoal has long been used as a remedy to cure digestive ailments. 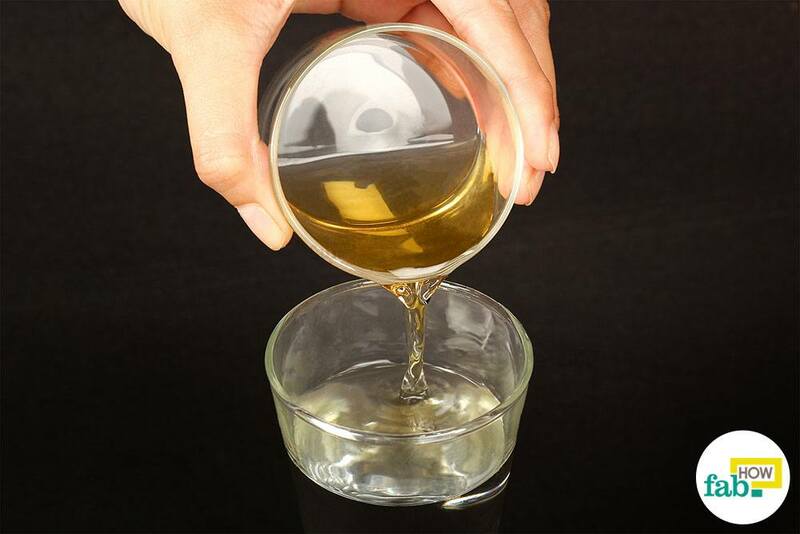 It works by binding the toxins, thus preventing them from being absorbed in the body. (7) It also prevents the liver from breaking down the toxins. Activated charcoal can be taken orally to relieve the symptoms of diarrhea. 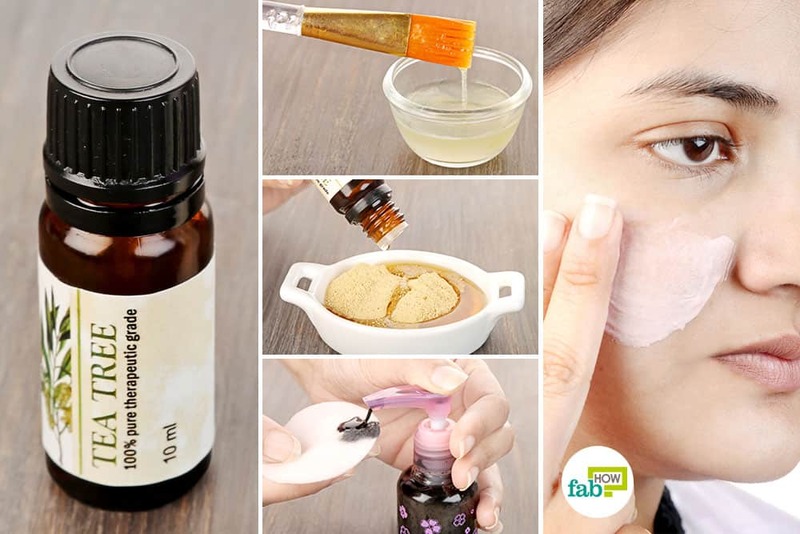 It is a common over-the-counter product that you can easily get your hands on. Mix 1 teaspoon of charcoal powder in a glass of water. Consume this charcoal drink once a day. If it's in capsule form, take 4 capsules with water. For severe diarrhea, this remedy can be repeated every 2 to 4 hours. Take 1 teaspoon of turmeric powder. Add 1 cup of warm water to it. 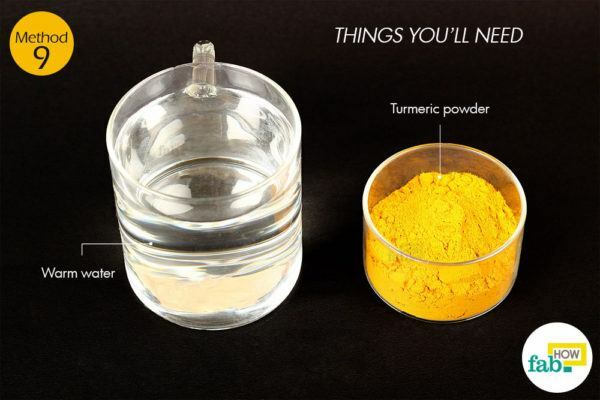 Take the turmeric drink once a day for relief from diarrhea. If you find it unable to consume the bitter drink, try consuming the spice dry, washing it down with 1 cup of warm water. Turmeric is antiseptic and helps relieve the digestive tract, (8) especially the intestines, from the trouble caused by bacteria and parasites. It also calms your stomach, sending you along the road of a speedy recovery. If your diarrhea persists after 3 days or if it is severe or accompanied by other symptoms like blood in the stool, visit your doctor immediately. New versions of the BRAT diet have also become popular: BRATY with a ‘Y’ for yogurt and BRATT with an additional ‘T’ for tea (plain and unsweetened). Honey and turmeric benefit a body ailing from diarrhea when consumed in small amounts. However, in copious amounts, they often end up worsening the situation. So stick to the prescribed dosage. 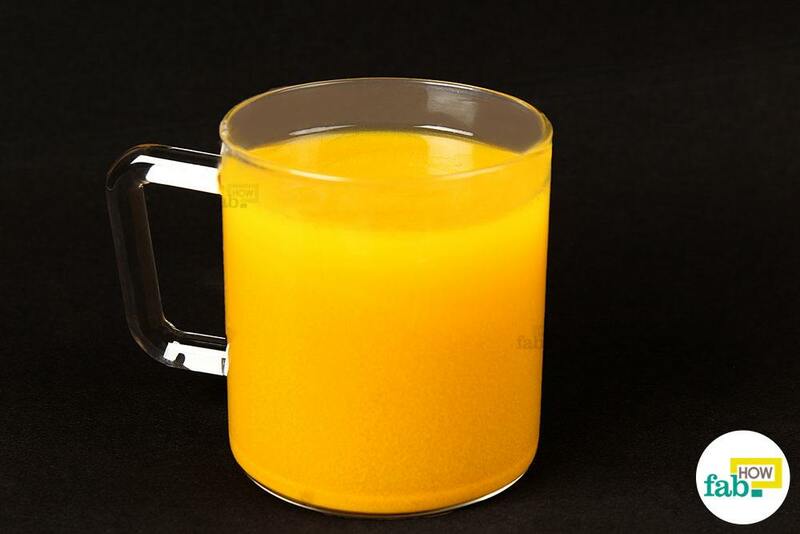 Although turmeric powder (1 teaspoon) may also be taken with milk or yogurt, people with lactose intolerance should avoid dairy at all costs. 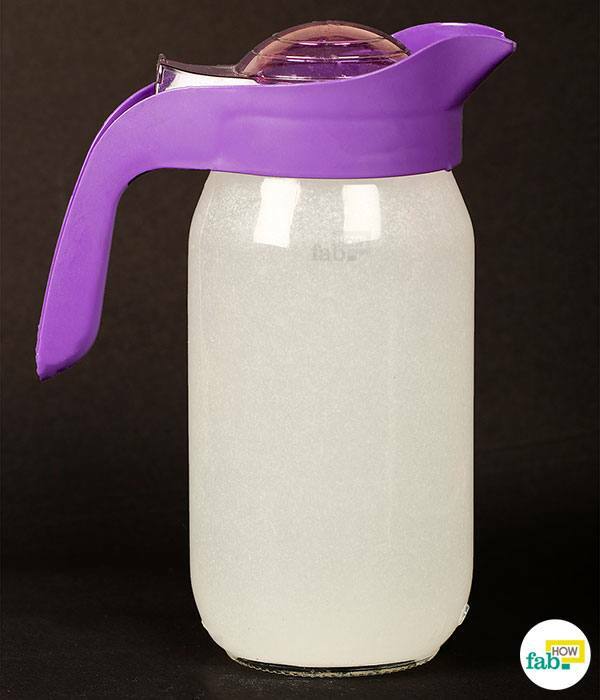 Kefir, a fermented milk drink, is a good option for the lactose intolerant. Kefir is lactose-free but rich in probiotics that make it a good choice for people ailing with diarrhea. If you don’t have access to raw ginger root, dry ginger powder may also be used. Barr W, Smith A. Acute Diarrhea in Adults. AAFP Home. https://www.aafp.org/afp/2014/0201/p180.html. Published February 1, 2014. Accessed March 4, 2019. Hu M-L, Rayner CK, et al. Effect of ginger on gastric motility and symptoms of ... World Journal of Gastroenterology. https://www.ncbi.nlm.nih.gov/pmc/articles/PMC3016669/. Published February 7, 2011. Accessed March 4, 2019. A C. Folk medical uses of plant foods in southern Appalachia ... Journal of Ethnopharmacology. https://www.ncbi.nlm.nih.gov/pubmed/16806760. Published November 3, 2006. Liping Y, Yao H. Material Basis and Mechanism of Antidiarrheal from Japonica Rice Water. Journal of Chengdu Medical College. http://en.cnki.com.cn/Article_en/CJFDTOTAL-CDYU201505010.htm. Published 2015. Nemeth V. Diarrhea. StatPearls. http://knowledge.statpearls.com/chapter/0/20482/. Published December 18, 2018. Schmidt SB, Kulig W, Winter R, Vasold AS, Knoll AE, Rollnik JD. The effect of a natural food based tube feeding in minimizing diarrhea in critically ill neurological patients. Clinical Nutrition. https://www.ncbi.nlm.nih.gov/pubmed/29358002. Published February 2019. Senderovich H, Vierhout MJ. Is there a role for charcoal in palliative diarrhea management? Current Medical Research and Opinion. https://www.ncbi.nlm.nih.gov/pubmed/29231746. Published July 2018. Thavorn K, Mamdani MM, Straus SE. 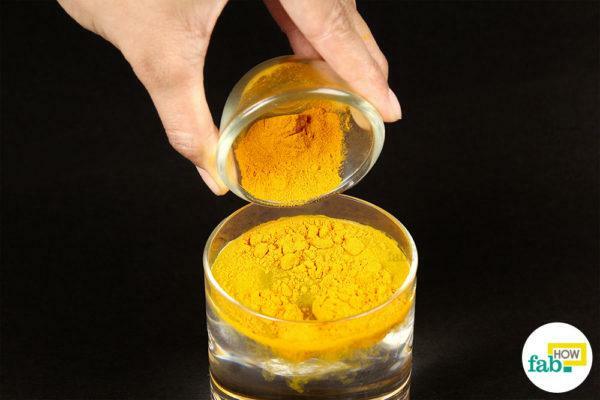 Efficacy of turmeric in the treatment of digestive ... BioMed Central. https://www.ncbi.nlm.nih.gov/pmc/articles/PMC4080703/. Published 2014.